A big part of being a blogger is reading other blogs. You’re able to support your friends and see new perspectives in the world, which is fantastic in my book. I have a Feedly list all set up, but I barely remember to use it. I think because (last time I tried) it was difficult to comment on a blog through Feedly. Please correct me if I’m wrong! So I’ll cycle through a few blogs every day that are my must-reads (enjoy that direct traffic, baby!). I want to share my must-read favorite blogs with you today because it’s the topic for Blogger, May I! I have to say, I’m having anxiety thinking that I may have left someone out. If I do…well, I’ll make it a series! There are tons of people who are so deserving of attention and good vibes. In fact, I had so many Pittsburgh bloggers that I’m breaking them into a separate post that’ll come down the road. I am so happy I found Katy – I think through Meghan! She’s truly pouring her heart out for the internet to see and it’s beautiful. As a fellow “Seinfeld blogger,” I love that she’s always sharing things that interest her. If you’re into sewing/creating, hearing about awesome community events, and pictures of adorable kiddos, you need to know about Katy. I love Meghan’s writing style and her way with words. I wish I lived closer to her so we could go shopping. Is that weird to say? The girl always has amazing outfits and shares the best shopping deals. Nicole rounds out the Sunday Lately trio with Meghan and Katy and another gal with a great writing style. I love that her posts are to the point but never short on personality. You can totally hear the friendliness in her tone, even though her posts are concise. The girl is busy running DBN, so I don’t blame her for short and sweet posts! This girl makes me laugh so hard every time I read her blog. She has the writing style I only imagine I have – full of personality, totally conveys who she is and the tone she’s saying something. I mean, you can just hear the eye rolls in her Hashtag Humpday posts. I think Jaelan is one of those people that can do everything so well and doesn’t have to try. If I didn’t love her so much, I’d be totally jealous! At least, she makes everything seem effortless from putting together a cute outfit to making cookies. Plus, you can just about hear her Texas accent coming through the computer! I really like Kam for her emails and her e-courses (and 30 Days Of Lists with Amy @ Lemon & Raspberry). No that her blog is bad (it’s a rockstar!) I just always get her right in my inbox, so I don’t go to the blog as much. That’s probably bad to admit. Does that make sense? Anyway, she has great resources for making your own adventure and her photos are fantastic. Kayla is a fantastic blog to follow for blogging resources and social media advice. She also hosts her own Twitter chat at 8p ET / 7p Central called #CreateLounge and if you don’t walk away feeling ready to run through a wall and write blog posts all night, you doin’ it wrong. If you need help getting your career on a creative path, go to Marissa! She’s so relateable, I’ll forgive her for stealing my favorite punctuation mark as her business name. She also loves the Oxford comma, so she’s a good egg. Kristin is a stellar writer and she’s dedicated to helping your words be the best they can be. I love her grammar series, Intensive Purposes (a play on “all intents and purposes”). She also shares great writing resources. Jess shares simple, actionable ways to improve your health and well being. She’s great at connecting everything back to a live driven by simplicity so you don’t get overwhelmed. 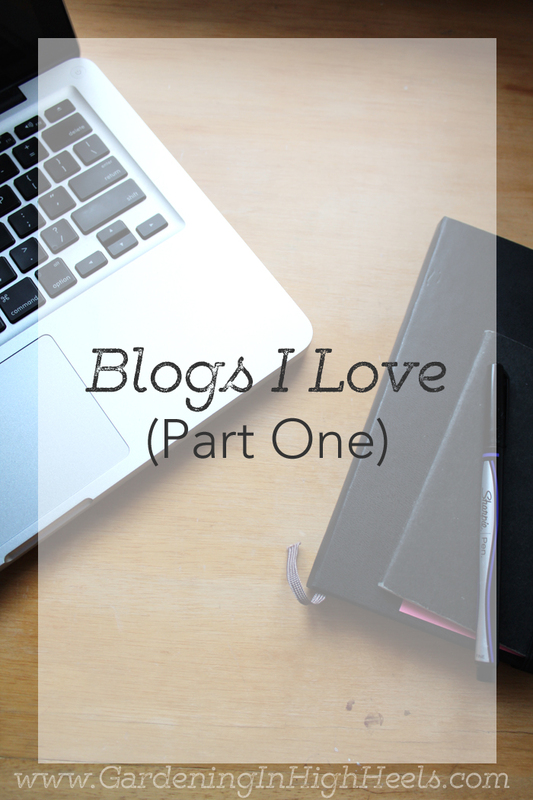 So that’s my (not complete and first installment) of blogs I love. What are some of your favorite blogs? Ah! So many amazing bloggers. This is a great list. And thank you! 😉 One day we’ll have to do a Google Hangout so my accent comes through full force. You’re the sweetest. Awwwww thanks girl! This makes me so incredibly happy. I’m glad that my “personality” comes out in my writing because I’ve never considered myself a writer – I’ve just done me the whole time, eye rolls included. haha. I’m still so glad I’ve met you through this wide world of blogging! I can’t wait to go check out some of these other ladies too! Thank you SO much for the mention! You seriously made me laugh with “if you don’t walk away feeling ready to run through a wall and write blog posts all night, you doin’ it wrong.” So, so true for our fun chat community. Happy to have you a part of it!